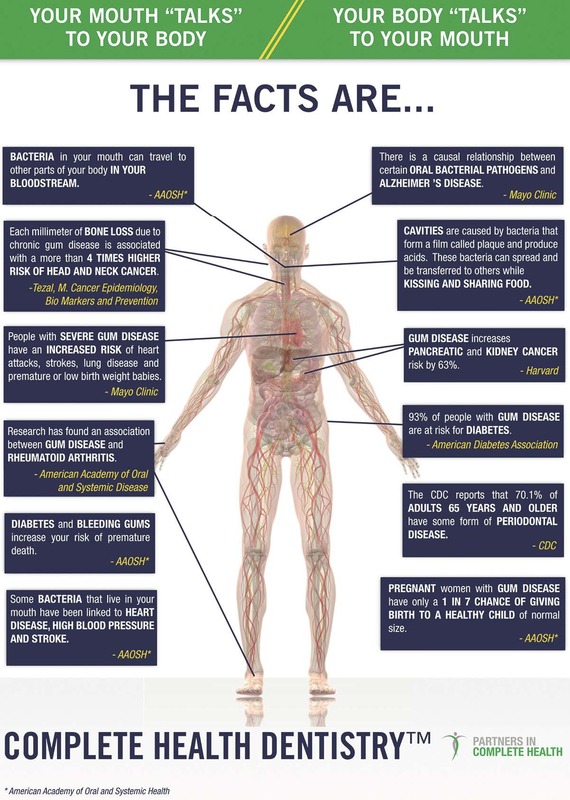 Did you know that your oral health and systemic health are closely connected? The fact of the matter is that dental disease or other conditions that adversely affect the health of your teeth, gums, jaws as well as structures in and around the oral cavity can also have an impact on your overall wellbeing. In fact, an increasing number of links are being established between oral health problems and a range of issues such as digestive disorders, heart disease, stroke, and diabetes. The reverse is also true. 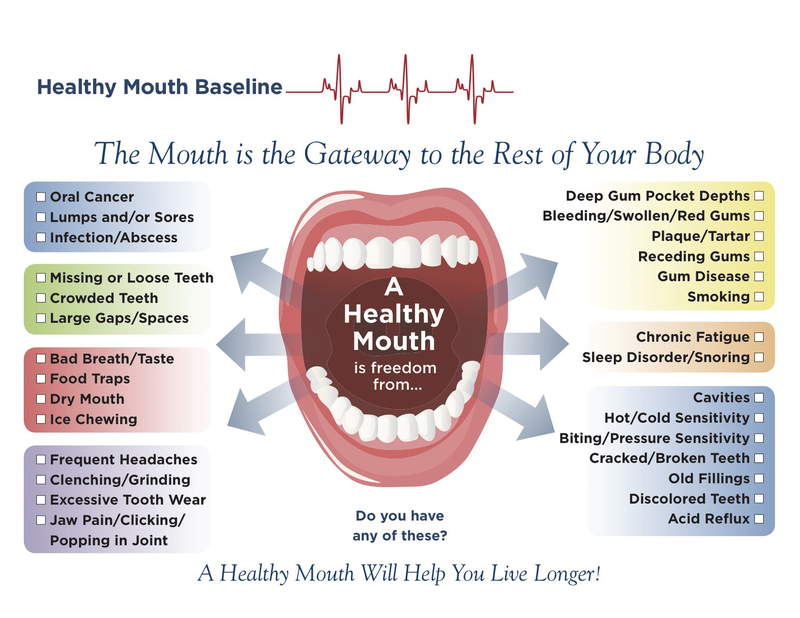 According to statistics, more than 90% of all systemic diseases (diseases which affect the organs and systems in the body) can manifest themselves with signs and symptoms in the oral cavity. Experiencing dry mouth, bad breath, gum problems, ulcerations or other oral lesions may be indicative of an underlying systemic condition, which your dentist may be the first healthcare professional to detect. While checking for the development of harmful dental conditions such as tooth decay gum disease and oral cancer, our dentist also looks for indications of problematic health issues that may have originated elsewhere in the body. Additionally, assessments of the left and right temporomandibular joints (TMJ), your occlusion as well as the relationship between the upper and lower jaws are performed to determine if any limitations or misalignment are present. During a comprehensive exam, we can also spot the consequences to your dental health of dietary choices, eating disorders, harmful habits, certain medications, and inadequate oral hygiene practices. At Smile Design Specialist, we recognize that a healthy smile is more than just an attractive asset; it is also essential to one's overall wellbeing. For this reason, we consider all aspects of our patients’ health when developing biologically safe treatment plans to meet their dental and cosmetic needs. With an emphasis on preventive care and nutrition, we strive to educate and empower our patients to maintain healthy smiles and whole body wellness!